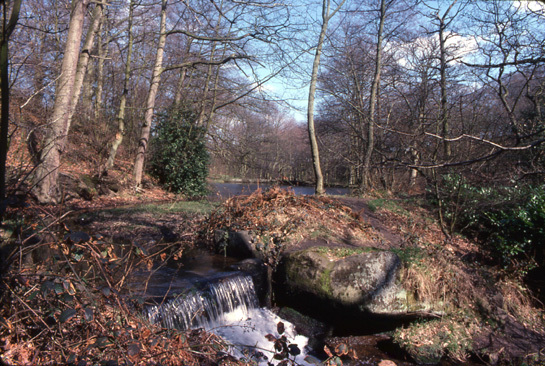 South Yorkshire is an area of diverse landscape character including open moorlands, agricultural countryside, medieval villages, rural market towns and the expanding metropolitan centres of Barnsley, Doncaster, Rotherham and Sheffield. The methodology developed for this project allows the varied scales of these activities to be recorded and set within the context of the surrounding landscape. The characterisation process begins by identifying physical patterns in the present day landscape from maps, plans and aerial photographs. The central concept behind this approach is that different processes of land use, which change over time, produce different patterns in the layout of the landscape that can be observed on these sources. The project has drawn boundaries around land with common characteristics; examples might include a large stand of ancient woodland, or an area of countryside featuring the straight boundary features of a Parliamentary Enclosure Award. In urban environments each defined unit records a different type of urban layout, for example different housing types or phases of industrial expansion. Data on each of these unique places has been recorded within a Geographic Information System (GIS), a computer system that links maps with related information. Each unique place has been allocated a ‘Broad Character’ type and a more specific ‘Historic Environment Character’ type (see list below)). Evidence has been sought to establish the date at which the place can first be shown to have its current character. Throughout the project, the confidence of these decisions has been recorded using the scale; Certain, Probable, Possible. Along with facts about the modern landscape, the project has recorded the past character of an area. The project officers have recorded this evidence as ‘Previous Character’. This information was gathered from a number of different sources including: old documents and historic maps, books, archaeological excavation reports and the South Yorkshire Sites and Monument Record (SMR). Sometimes all of these sources were not available for an area, making it necessary to make decisions based on comparisons with similar landscapes where more is known about the development history. Earlier traces are generally harder to read the more different uses a place has had. Reading these earlier stories becomes harder over time, like something written on a blackboard that has been left in the rain! To describe how hard it is to read these hidden stories we have introduced a concept of ‘historic legibility’ of previous historic characteristics. The extent of this legibility is recorded as being Significant, Partial, Fragmentary or Invisible. 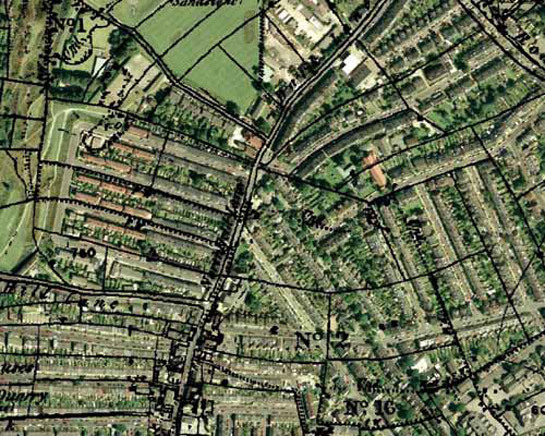 Examples of ‘legible’ features include field boundaries preserved within housing estates and surviving industrial features in an area now dominated by public recreational uses.